The Kashmir has always been the most favored tourist destination for honeymooners from time immoral days. We have this short Kashmir rendezvous tour for those who want to take a quick glimpse of Paradise on Earth. 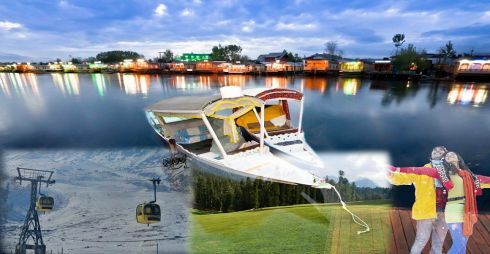 This honeymoon special Kashmir is inclusive of Gulmarg and Pahalgam along with Gondola ride and Shikara Ride on Dal Lake. We offer the best honeymoon deals for Kashmir honeymoon couple with special houseboat for honeymooners from luxury honeymoon to budget honeymoon tours the package is perfect for Kashmir Honeymoon delights with best of Kashmir honeymoon destinations. Upon arrival at Srinagar, our representative will meet and greet you at the Airport. Everyone wants to spend their precious time in this valley and we will provide you those special experiences at ease. Stay you first night in Deluxe Houseboat on the famous Dal Lake. Later proceed for a tour to Mughal gardens like Nishat Bagh, Shalimar Bagh, Chasmashahi etc. We firmly believe in Philosophy (Seeing is Believing). About Cheshmashahi, it is being said that the water of the spring quenched your thirst. Later in the evening free time for shopping or personal activities. Dinner and overnight at Hotel. After breakfast proceed for excursion tour of pass through the saffron fields and later to Gulmarg via Tangmarg. The journey uphill is serpentine where you can enjoy the beauty of George and Mine trees. Gulmarg- The Switzerland of Asia. This picturesque tourist spot is agog with activities round the clock. While the lush green meadows in summer will be a treat to your eyes, so will the snowfall of winters have a soothing effect on your heart and mind. Those interested in catching the nature at a height can take a cable car ride (Gondola). By evening return to the hotel in Srinagar. Dinner and overnight at Srinagar. Pahalgam is located South of Kashmir where you pass through the famous Saffron fields and a peep at the history of Awantipur ruins (where according to Hindu mythology, Pandavas had spent their time after losing their Kingdom) As you will approach the Pahalgam, a music of water gushing from the lidder stream will fulfill your ears. It’s an Occasion when one’s soul is filled with Peace. The captivation places has been captured in reels like Silsila, Betab Karma etc. Later in the evening return to the hotel of Srinagar for dinner and overnight stay at Hotel. Post breakfast Shikara Ride and transfer to the Airport for flight back to home. 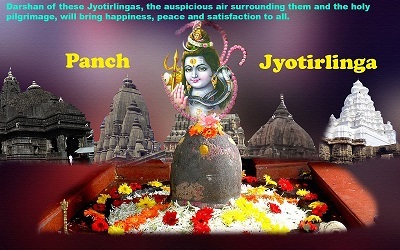 · All transfers and sightseeing by NAC Indica/Similar Car as per above itinerary. · All hotel taxes, taxes and expenses related to vehicle. · Insurance, cost arising due to force majeure factor. · Anything not included in the above cost includes sections. · Travelers traveling to Kashmir should bring heavy woolen cloth. · Please keep you ID ready and do not travel outside the city alone and avoid traveling in night. · Tourist who ever want any information related to Kashmir tourism can avail free of cost from Jammu and Kashmir Tourist counter. · It is advisable to wear proper clothing in Kashmir especially for ladies traveling here. · For women visiting religious places are advised to cover their head and legs also remove your footwear before entering the religious places. · Drink bottled mineral water to avoid getting contaminated by the water borne diseases. · Avoid beggars, beware of pick pockets etc. · Before going for shopping check with your hoteliers or friends for reliability. · For any further assistance there are Tourist police being posted in every nook and corner of the cities in case of any mishandling or suspicion please contact them. · Credit card are widely accepted but never forget to carry reasonable cash as credit card is not accepted everywhere. · Basic medicine should be carried along. · There are places where photography might not be permitted check before taking pictures of those locations. · Most offices and banks remain closed on holidays or weekends. · Foreigners visiting valley should have valid 90 days visa and should carry their ID everywhere they move.